Hello Christ the King Crusader fans! As the season finally comes to a close, we wanted to offer a special thank you to all the coaches and volunteers who made the season such a wonderful success. We also wanted to congratulate the 6th grade girls team who not only won the West Diablo League, but held on to win the championship game of the Oakland Diocese. (pictured left to right: first row – Kalane Bessard, Lauren Etnyre, Abigail Radutiu, and Maggie Scaff. 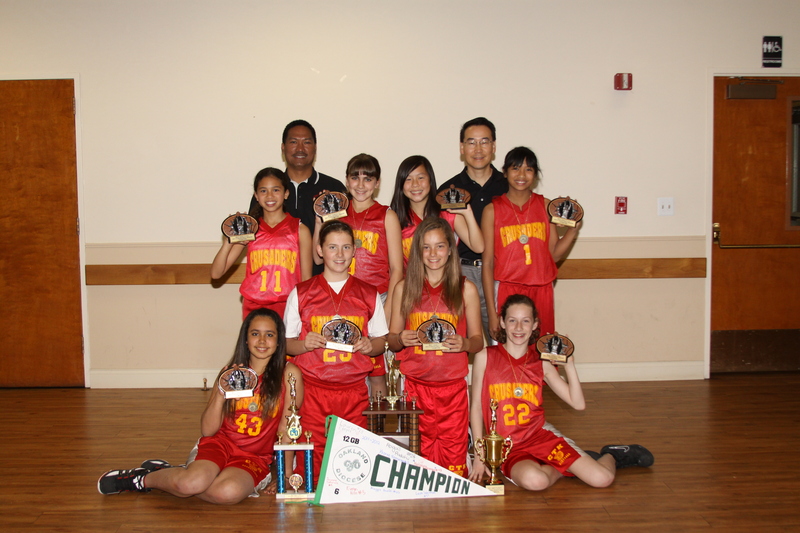 second row – Leah Walton, Jasmine Safarians, Evelyn Kim, and Kianie Ramirez. Be sure to check back as we prepare for next season. Your friends at Christ The King CYO Basketball.